• Call today for a free flea and tick estimate! 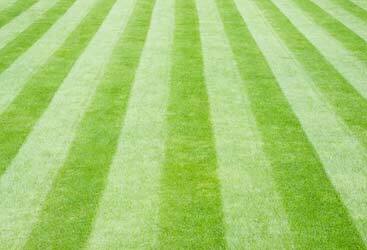 • Green Turf will help minimize the risk of fleas, ticks and other insects in your lawn and landscape. • Protect your family and pets this summer. • Enjoy your lawn this summer without ticks and fleas! What Can Our Flea and Tick Removal Services Do For Your Lawn? The question should be what can’t our flea and tick removal company do for your. With over ten years of experience under our belt, we’ve figured out what practices will and won’t work when it comes to flea and tick removal. We know that having a lawn free of fleas and ticks is not only important to the health of your lawn, but it’s important to your whole home and family as well. When you hire our flea and tick removal service, we’ll create a plan for your lawn that will help eliminate the pests, while keeping your lawn lush and green. 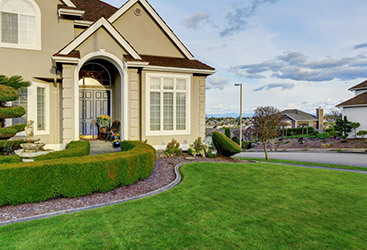 Beyond our experience with lawn pest control, we’re also experienced with custom service. We aim to provide every customer that comes to us for help with the best yard pest control in Macungie by using our expertise and dedication to quality to ensure that you get the best experience and a pest-free lawn once all is said and done. 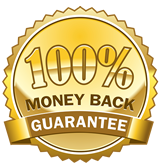 We have a long history of providing our customers with nothing but the best in flea and tick removal, but our history also precedes us as being one of the best providers of customer satisfaction. 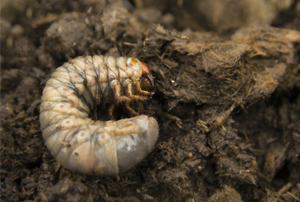 It’s for this reason that Macungie calls us their Top Rated Local® pest control service. Fleas and ticks are more than just harmless bugs lurking in your lawn, they can disrupt the health and wellness of both your pet and family. Let’s look at these concerns a little more closely. Ticks and fleas harbor diseases that span beyond a bug bite or minor skin irritation — not only are pets susceptible, these bugs can jump from their pets to human hosts as well. Ticks are notorious in Pennsylvania because of the wooded areas we’re surrounded by. Ticks can often enter the household via dogs and cats — they may be out and about patrolling the yard and when they come in, the little critters can shake loose into your home. There small enough to go undetected, so it’s crucial to always check yourself and your pets when you go outside. Ticks carry diseases that infect both humans and pets with Lyme disease. In humans, Lyme disease can manifest as fever, extreme fatigue, and rash. In pets, signs often appear as issues in breathing and swallowing, with some muscle weakness. Fleas love to jump from host to host and leave a wake of itching bites and skin irritations in their wake. Because their bites are intensely itchy, it may cause hot spots and allergic reactions in your pets. If your pet becomes bombarded with fleas, it can actually cause anemia because the fleas are feasting in a large amount of the animal’s blood! Fleas are responsible for tularemia which results in weight loss and fatigue in animals and can also be a host to tapeworm. Besides the discomfort, once a flea infestation occurs it spells trouble for your pets and can cause discomfort in humans resulting from their bites. Get Rid of fleas and ticks for good with Green Turf Care! Fleas and ticks aren’t harmless bugs that stay put, they love to disrupt the health of your yard and your pets and family. Take preventative measures and partner with us today! If you’re worried about pests invading your lawn and want to prevent any further damage, don’t hesitate to contact us today. We promise that the flea and tick removal we provide for you will be effective and we won’t stop until your lawn is pest free. Give us a call today and get started with enjoying the exterior of your home today. Call right away! Check out our reviews! We aren’t happy unless our clients are. That’s a guarantee. Learn more today!